This stunning solitaire diamond ring has been luxuriously crafted from 18ct white gold and presents a platinum 4-claw setting. A contemporary touch, offering more security for the dazzling diamond. 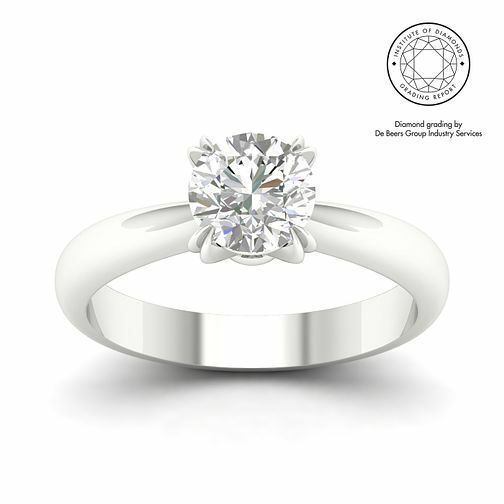 The sparkling round 1.5ct set stone is certified by De Beers Group for colour and I2 clarity. A classic diamond ring to celebrate true love with.